Note: A minimum quantity of 20 must be ordered, and in units of 5 thereafter. Esselte Pendaflex File Folder - Reinforced-Top File Folders feature reinforced tabs for exceptional durability and are perfect for your everyday needs. 2/5-cut tabs are in right center position. Durable, 11 point manila covers can stand up to active projects. 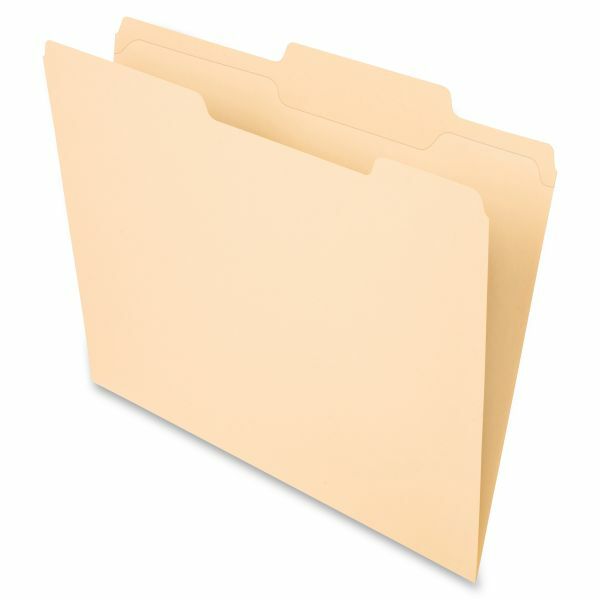 The letter-size folders fit nicely in your standard hanging file folders. Top corners are rounded. Folders are scored for 3/4" expansion.